Construction on the Erie Canal began in 1817. It weaves it's way across New York State for 363 miles and took eight uac789. The canal officially opened in October of 1825. 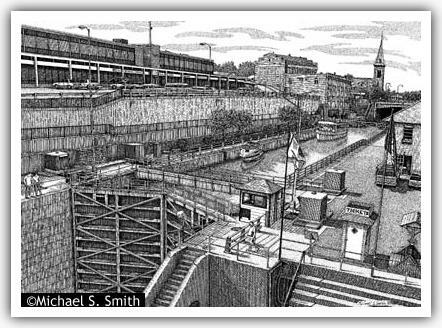 This drawing highlights locks 34 and 35 in Lockport, New York which were completed in 1918.